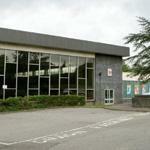 Tunbridge Wells Sports centre has a wide range of facilities for you to enjoy. A large swimming pool, diving, 4 indoor tennis courts, a fully loaded gym, 5 a side football, netball, volleyball, personal training, racket ball, pilates, squash, tanning, soft play and trampolening are offered. Have you been to this sports centre or used the other facilities?